Syed Adnan wrote: I dont think adding wood is a good idea as it will take up Nitrogen from soil to get itself decomposed, it will starved the soil from nutrients, iam using vinegar for my pots just one tea spoon in a liter of water works fine for container gardening. Yes most tree barks and wood contains large amounts of cellulose. Microorganisms in the soil that decompose cellulose work quickly and require large amounts of nitrogen. This results in a lack of nitrogen available to the plant growing in the medium. However importantly by contrast, in pine bark (not the wood itself), there is not much cellulose, but a lot of lignin. Lignin decomposes much more slowly, so the nitrogen is not depleted. It also "opens up" breathing space in the potting medium, creating best oxygen/gaseous exchange/mycorrhiza conditions thus optimising the ideal root health environment. It also makes the potting medium "consistently" acidic. I suppose that if you fed your plants regularly with a liquid fertilizer, you could mitigate the nitrogen issue with wood, but I've never tried and like you said its not good practise. Maybe the original poster is getting language confusion differentiating wood from pine bark. Nice wrote: Sir, what kind of wood we should use for these wood chips and from where we can get these(wood chips) in Lahore. If you go to a wood merchant or sawmill ask for Cheer or Dyaar bark it should be those two and not the other tree barks as they decompose in a different way. You should be able to purchase a small amount cheap as it is a waste product of low commercial interest. I was thinking to give a try on the battery solution, last night bought a battery solution (Sulfuric Acid) bottle for Rs.20/- which we can assume as 30% (though not sure) if i add (which i did) 2 ml of this solution to 1500 ml of water it will be 0.04% solution and 0.008 Molar solution. Sulfuric acid is a diprotic acid in diluted solutions (below 0.1 M). Therefore the concentration of H3O+ is twice the molarity of H2SO4 because this holds 2 protons (H+) per mole. So, i put this pH 1.8 solution in one of my gardenia and brunfelsia... if they survive, i shall test this solution on neighbor's extremely cholorotic ixora.... wish me luck..!! 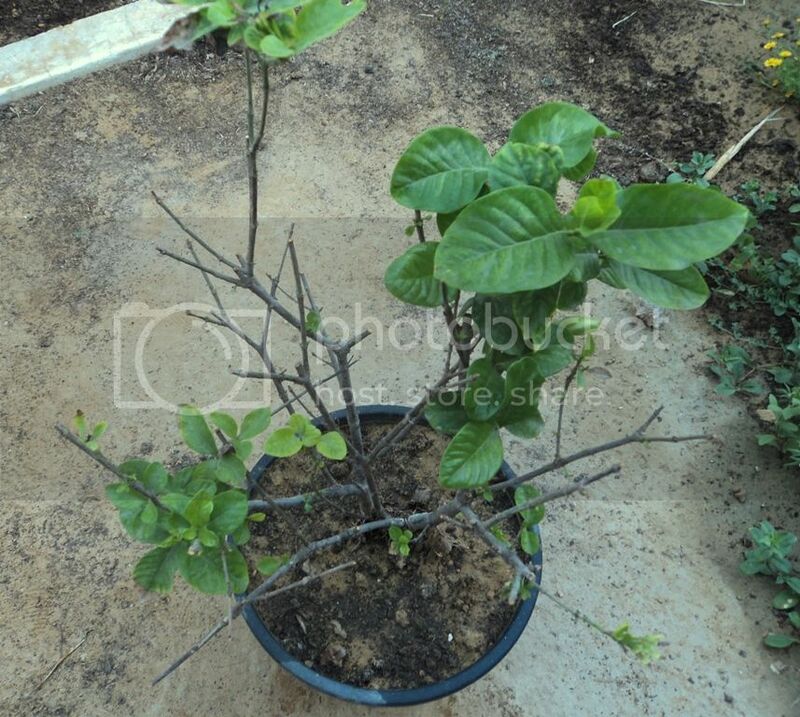 PS: Do correct me if i have done the calculations wrong..
Sulphur and Iron sulphate has worked wonders on my Gardenias. Sir, this is the safest way to reduce cholorosis... kindly do let us know your regimen to use them... if the battery water solution worked, then it will be the most inexpensive way to reduce the soil pH. I would be really curious to know the results because I could never cure chlorosis of Gardenia :-). Good luck! Izhar bhai you have a very good ball park estimate. The pH of very dilute H2SO4 would range between 2 to 2.7 regardless of whatever the original concentration is. Your molar concentration estimate is approximately twice the actual value, because the density of 30% acid is close to water ~ 1.2, so the molarity of 30% acid is 3.7 M rather than 5.6 M. Regardless of this minor nuance your estimate is still perfect with the correct pH of 2.3 thanks to the logarithmic nature of this unit.